This weekend, Lupe Fiasco decided to drop back-to-back tracks, days after showing love to Lil B on his song "All While Doing a Rubik's Cube One Handed." The new tracks, "Black Power L Word" and "KJazz" skew on the shorter side, but both showcase that after telling fans DROGAS: WAVE was no longer coming, he's slowly but surely getting back to the music. At this time, it's up for speculation whether these two new songs will appear on a larger project or if they are just loose singles, but either way, fans are excited to see the rapper back in the studio again, as well as back on the road in a couple of weeks. Lupe is gearing up to go on tour, with his next tour run kicking off on Nov. 3 and running through the end of the year into 2018. Last week, Lupe shared with fans that he wants to be remembered as the greatest lyricist of all time. "When it comes 2 lyrics (which is the ONLY thing I care about) you'd be very hard pressed 2say I'm not one of the best ever #TBE for real," he stated. "I have nearly every accolade there is to have in the music business the only thing left is to be the GOAT Lyricist & that's the pace I'm on." 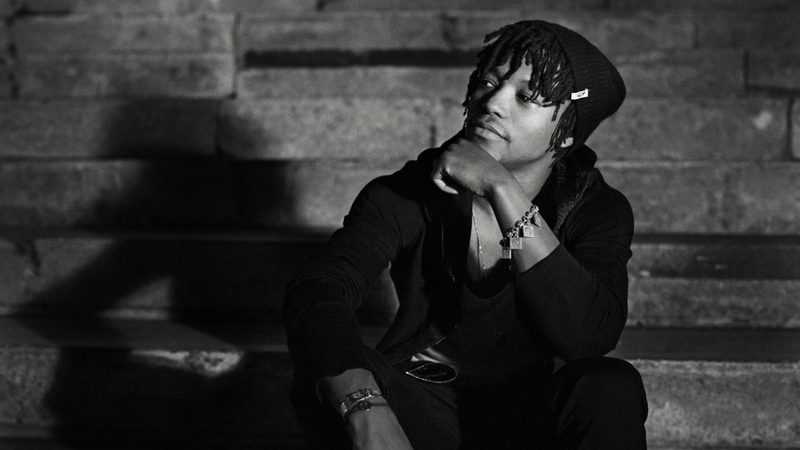 Listen to Lupe Fiasco's latest offerings below.